From Italy's Kiko Milano to Switzerland's Mibelle, it's a flurry of the consumers' favourite international cosmetics brands coming to India. The Indian beauty and cosmetic market is pegged at INR 60 billion and is expected to reach INR 170 billion by 2020; growing at the rate of 15-20 per cent per annum. Adding to these numbers is the fact that the Indian consumer is become more affluent, aware and conscious by the day. And also, the increasing woman workforce in India is another factor bringing a boom in this sector. Italian beauty brand, Kiko Milano is the latest international brand that opened its first store in DLF Mall of India at Noida on September 17. 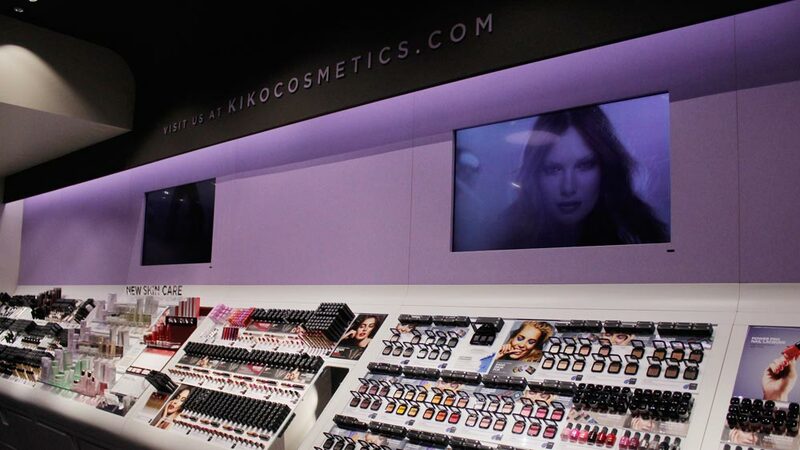 Kiko offers a range of more than 1400 high-quality products, including make-up, beauty accessories and state-of-the-art skincare products. It has over 850 stores in 17 countries and an online presence in 35 nations. The brand is looking to open 45 stores in India in the next 3 years. “KIKO offers a new experience to the Indian beauty scene. With beauty experts and makeup artists on-hand, the store is a point of reference for beauty lovers - a place to explore, to play with colours and to try out new looks and effective skincare treatments,” says Annanya Sabarwal, Country Director, Kiko Milano. Japanese beauty and cosmetics brand Kose forayed into the Indian market last year with a new skincare brand Spawake with an investment of Rs 40 crore. Besides India, the brand is present in 25 countries including the US, Canada, Australia, Italy, UK, Germany, France, Spain, Belgium, Norway and many others. "We have developed Spawake brand especially for the Indian market. We have spent three years in developing products for Indian women. We want to provide modern beauty solutions and have plans to introduce more products going forward," says KOSE Corporation India Director and CEO Takashi Nomura. Tokyo-based Shiseido Za entered the Indian market with an Indian subsidiary Shiseido India in late 2014 with an 11-piece line of its products. “Overall, there is an immense economic optimism championed by a young Indian population that is aware, well-travelled and more exposed and connected than ever before. This growth can also be attributed to the increased initiatives by both domestic and international beauty players who are ensuring that country is aligned to the global products and services offered. These are exciting times to be in India and Shiseido’s Za has entered the market just when it is about to explode,” says Benjamin Suzuki, Managing Director, Shiseido India. Switzerland-based Mibelle AG is expected to enter India soon. The full-service customer brand manufacturer serving the personal care, home care and nutrition markets, is founding a joint venture with the Indian retail group Future Group (Future Consumer Enterprise Ltd.) to design and market new brands and product concepts for the Indian personal care market. “This is one more step in setting up the Mibelle Group as an international operator,” says Mibelle CEO Dr Luigi Pedrocchi. The leading South-Korean brand is set to enter the Indian market very soon. It will first foray into the e-commerce segment and then go offline. The cosmetic giant has over 2,300 stores in 29 countries and looks to enter the Indian market with some unique concepts like beauty classes etc. With international brands continuing to enter the Indian beauty and cosmetics market with aggressive expansion plans, it is no doubt that the Indian beauty sector is going to see huge growth in the next few years. And, as the industry grows, so will the avenues! Can healthtech replace real time treatment?..